Spoon Meets is a monthly breakfast talk series with inspirational creatives and people who have a passion about what they do. 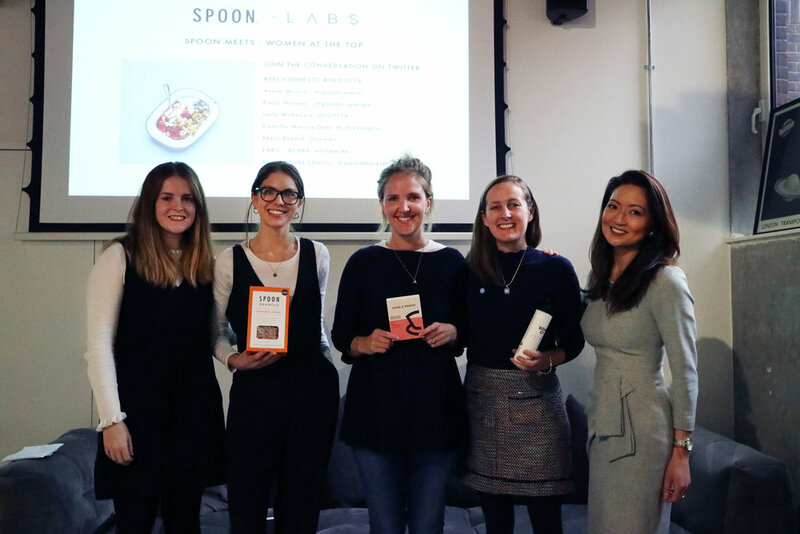 Hosted by Spoon Cereals' brand director and co-founder, Annie Morris, we chat work / life balance, keeping up motivation, staying inspired and living a healthy and creatively fulfilled life with a carefully curated panel of speakers. Given the theme of the day, this month we thought it would be fitting to speak to a panel of powerful women, who are filling the gap of females at the top of their careers and acting as role models for future female and male leaders to come. Emily Holmes - Founder of the London-based premium tea specialists, Good & Proper Tea on a mission to show you how good tea can be, when it’s done properly. Leila Mckenzie - founder of LOFT Talent Acquisition, a boutique executive search firm specialising in senior level appointments. Leila is particularly passionate about women in leadership in the food & drink Industry and diversity at the top of the food chain. Tessa Bryant - Tessa is responsible for leading the famous crowdfundng platform, Seedrs brand and investor public relations in the UK, Germany, Netherlands and Portugal. Alongside this, she manages PR for Seedrs alumni companies by helping to communicate their success stories. The next-level co-working space, LABS in High Holborn, London. Spoon granola and muesli breakfast pots with natural yoghurt / oat milk and defrosted berries. We learnt that nobody can ‘have it all’ and that climbing the career ladder takes grit, determination, confidence and sacrifice. Having the right support network is vital for achieving your career goals. Success is the little steps you take to reach your goals, remembering to celebrate the small wins on the road you take to get there.